There are seldom many other sportswear firms who have burned so brightly and made such an impact in such a short space of time than Leicester-based firm Admiral. 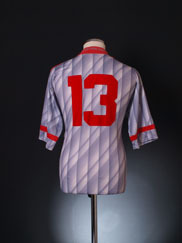 Thanks to the 1973-74 deal with Leeds United and then England, the company are widely credited with starting the replica kit market due to their ingenious idea of designing more highly decorated kits, complete with their logo, and setting up deals with clubs to supply their strips, provided they could produce ‘official’ and copyrighted replica versions. 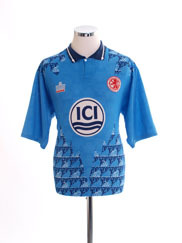 Bold colourful designs replaced the relatively simple football attire that existed up to that point - no longer could a child emulate his heroes by simply wearing a plain top with a sew on club badge, now they had to buy the official licensed version. 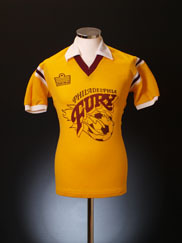 Football apparel has never been the same since. The company were formed in 1914 as ABC Hosiery Ltd (name changed later to Cook & Hurst) specialising in underwear. Following England’s World Cup success of 1966 the firm decided to focus on football. 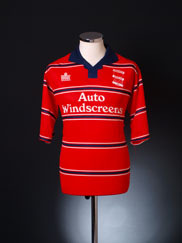 Owner Bert Patrick astutely realized that personalised designs could be sold to football kits and his unique business model was born despite some initial stiff opposition to such a blatant commercialisation of the ‘beautiful game’. 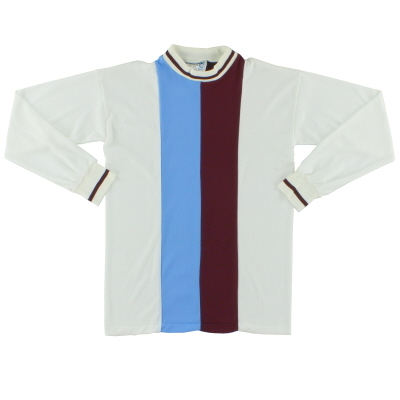 Admiral’s early 70s Leeds kit was the first to feature a sportswear logo although before the season was out other companies followed suite, each ensuring that their brand too would enjoy maximum publicity. 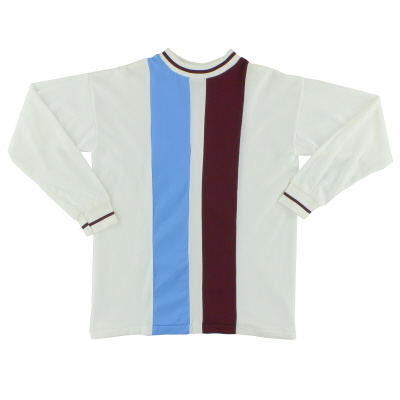 Soon other clubs followed Leeds and England’s initiative and Manchester United, Southampton, West Ham amongst many, many others signed up with Admiral and sported their bold and colourful designs that perfectly encapsulated 1970s football fashion. 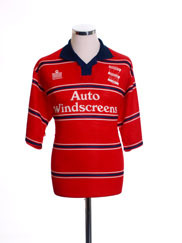 However their incredible success and high profile in playgrounds throughout the land wasn’t to last and in 1982, just two years after unveiling their second set of strips for England the company were declared bankrupt with many of their sides signing to adidas and Umbro. 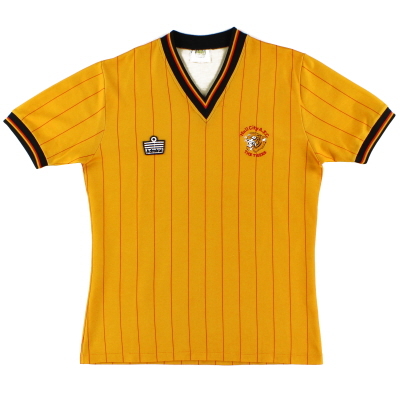 In 1983-84 Admiral were reborn in a much smaller capacity and Leicester and Notts County emerged in Admiral strips. 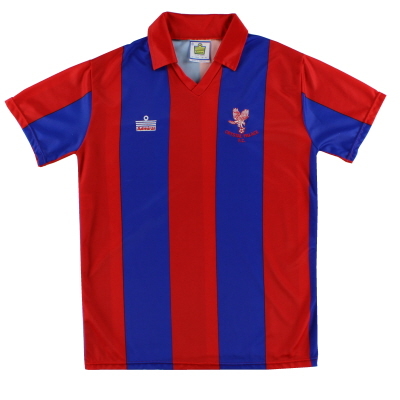 Later in the decade Hull, Crystal Palace, Charlton Athletic and Bradford City also could be seen wearing the company’s outfits. The late 70s-early 80s also found Admiral producing kits for many of the American NASL soccer teams including the iconic New York Cosmos. 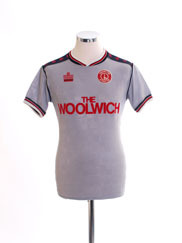 By the time the Premier League kicked off in 1992 Admiral were enjoying another revival with deals in place with four of the inaugural 22 teams that made up the new division: Southampton, Wimbledon, Leeds and Middlesbrough. Over the border deals were also in place with Hearts, Motherwell and the mighty Rangers. 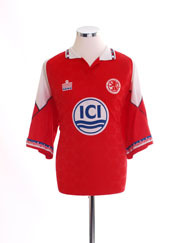 Again though the brand couldn’t maintain momentum and in 1997 with many of its sides now sporting other brands the company was sold to Hay & Robertson plc. Cricket now became an unlikely home for the Admiral logo with the company producing kit for the England side from 2000 to 2008 alongside outfits for the West Indies and South Africa. 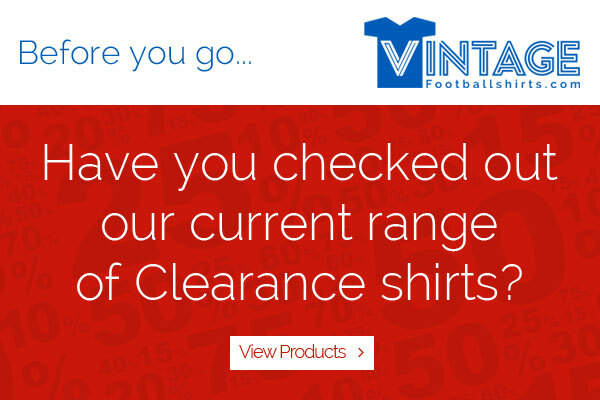 Since then the famous Admiral logo has cropped up now and again throughout British football but the company now focuses primarily on their impressive retro credentials and produces and licenses favourite old kit designs from the 1970s. 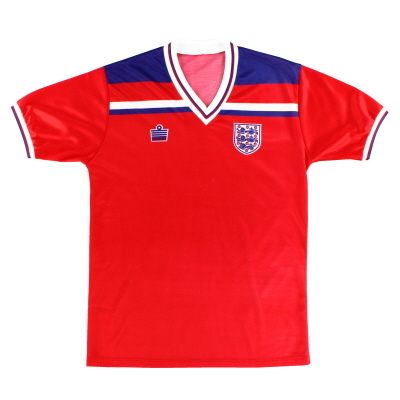 Interestingly their early 1980s England home strip is still widely regarded as one of the nation’s best despite it being derided at the time.